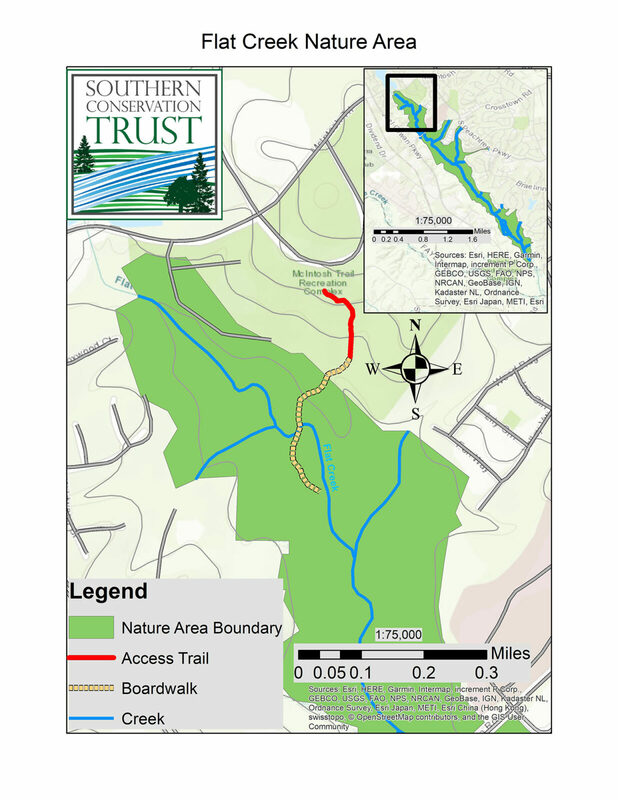 Flat Creek Nature Area consists of 513-acres worth of wetland in Peachtree City that extends 3.5 miles along Flat Creek, from the Lake Peachtree spillway at Kelly Drive/McIntosh Trail downstream to Highway 74. A connecting trail winds downhill from the Fred Brown Amphitheater to a 1200 foot boardwalk and two viewing decks along Flat Creek. 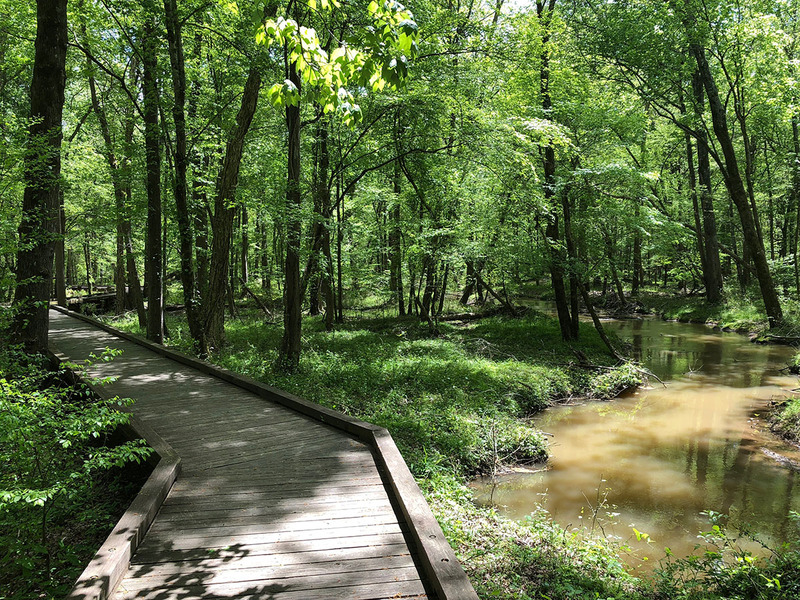 A stroll along the boardwalk reveals bottomland species of trees and plant life along with numerous wildlife species. Large hardwood trees provide gracious canopy cover creating a cool shady area with plenty of resources for wildlife. Some of the species frequently viewed along the boardwalk are grey squirrels, white-tailed deer, swamp rabbits, great blue herons, and the occasional red-shouldered hawk! An additional viewing platform is located beside the cart path south of Crosstown Road, thanks to the Peachtree City Rotary Club and Eagle Scout Kenneth Scott Molleson. The Howard Morgan Wetland and Nature Observation Deck is named in honor of former Peachtree City Mayor Howard Morgan. The Fayette County Water Authority provided funding for the boardwalk. While many of our visitors like to bring their dogs along for the journey, we would like to remind everyone that dogs are required to be on a leash when at Flat Creek.